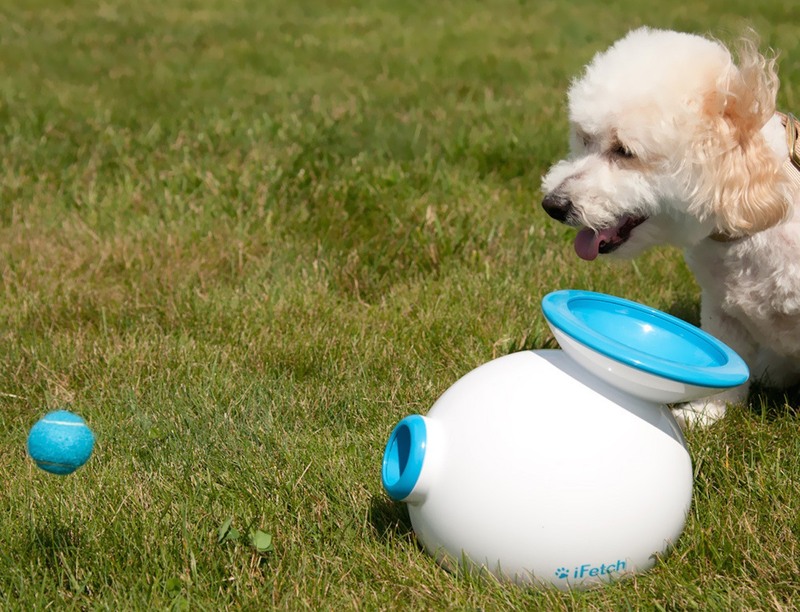 Give man’s best friend something bark about with the iFetch Too Interactive Ball Thrower for Large Dogs. 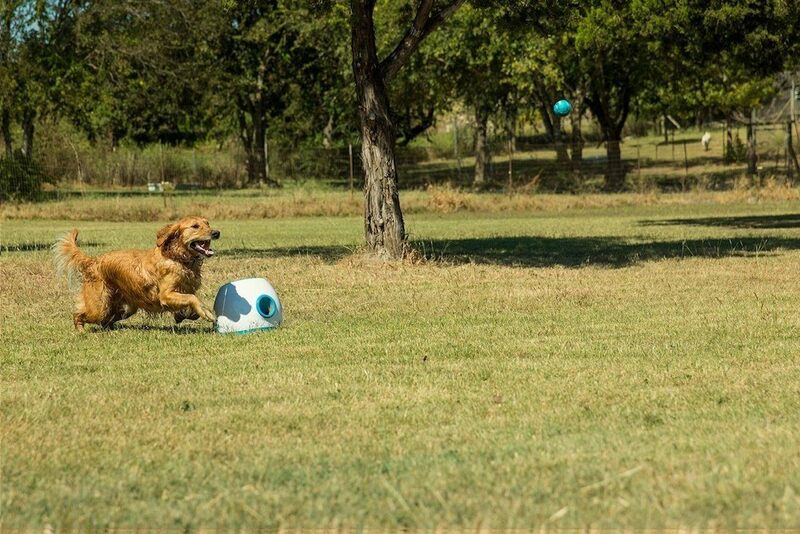 Chucking standard sized tennis balls into the air, your big dog will love the automatic game of fetch. 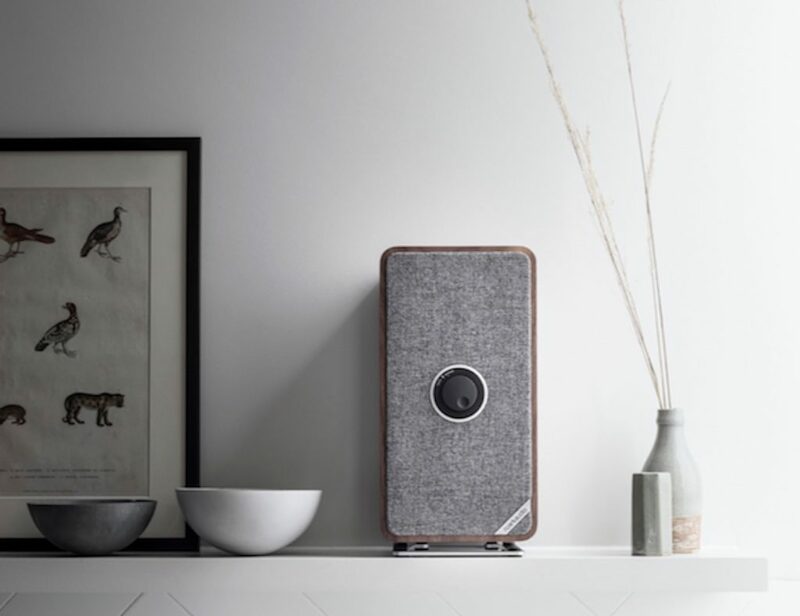 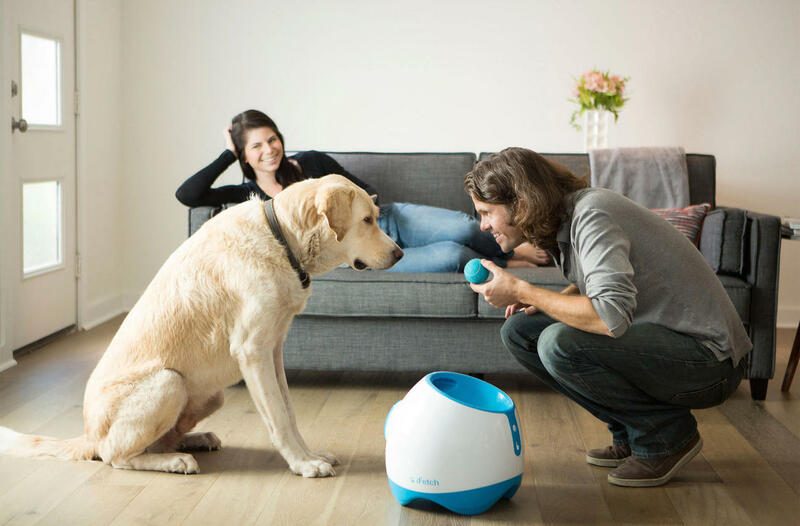 Powered by a built-in rechargeable battery, your dog can return the tennis ball and drop it into the machine only for it to be thrown again. 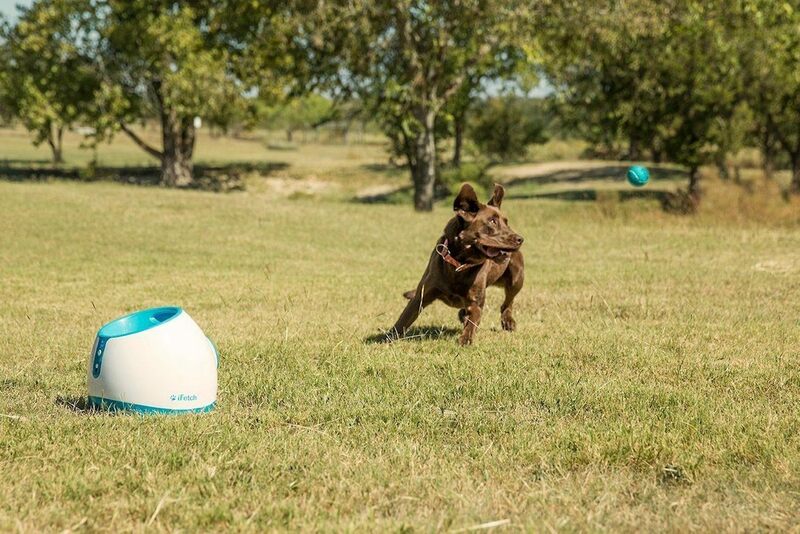 With options for a 10, 25, or 40-foot throwing distance, any dog can get the exercise he needs. 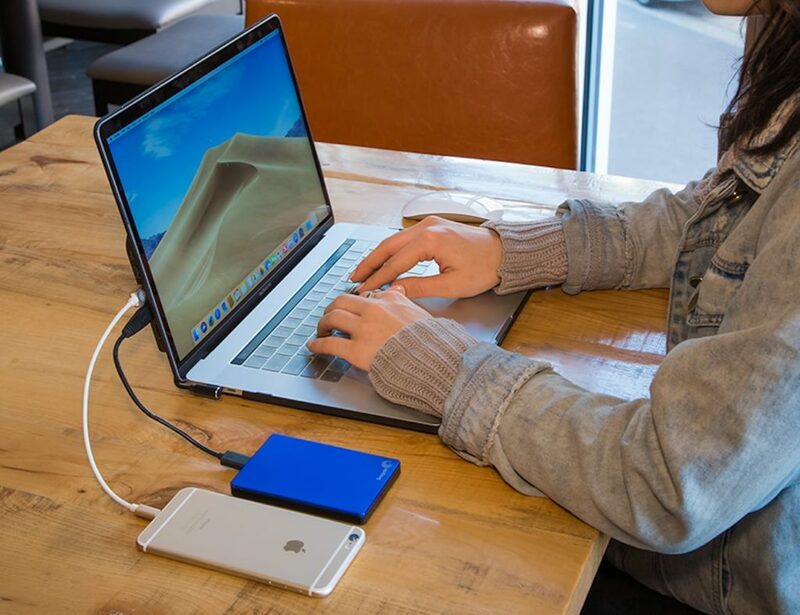 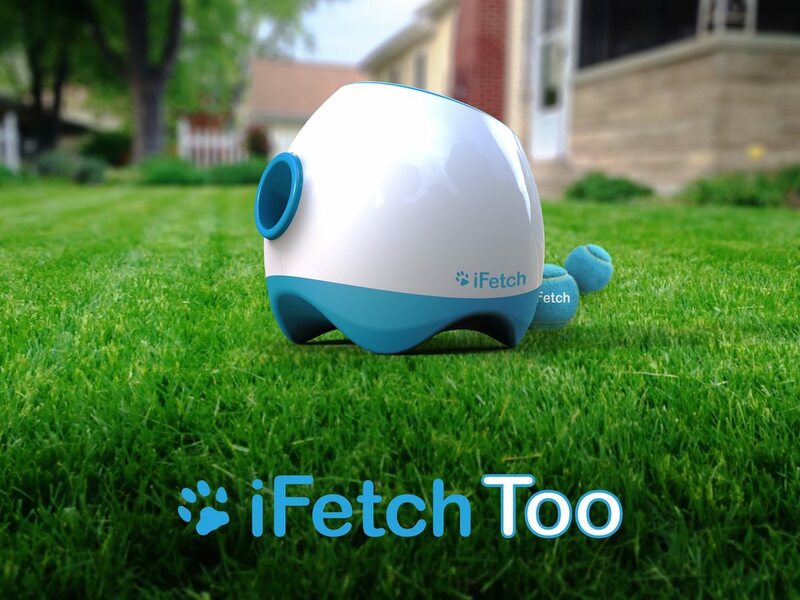 Because the iFetch Too takes care of the legwork for the owner, you can spend time staying closer to your dog. 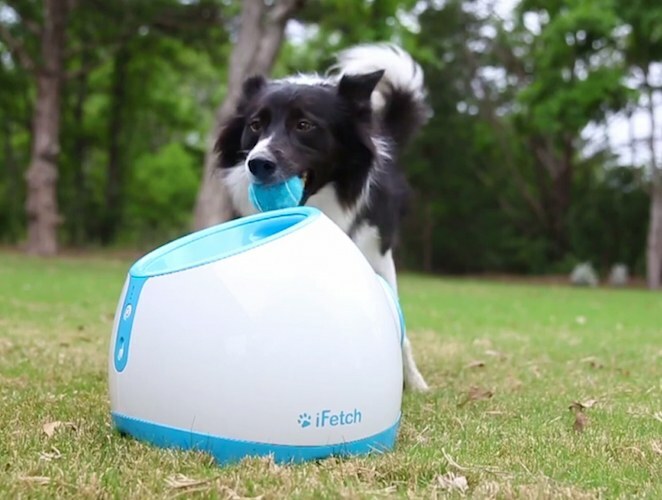 The iFetch Too Ball Thrower comes with three non-abrasive and pet-safe tennis balls so your pooch can play for hours and hours.